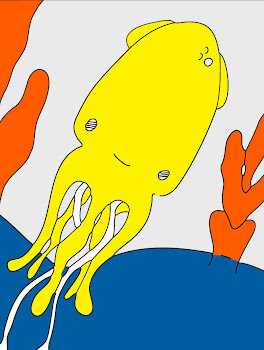 Technicolor Squid: Attempting To Build A Blog 7. Attempting To Build A Blog 7. I am here. Shhh ... wanna see something fun? I am working hard behind the scenes to make the vegasandvenice experience more enjoyable. I am hoping it will not be too much longer. In the meantime hope you like the new gift tags which may be available in the shop very soon! Trust me, five out of five kittens agree that these tags are fun! (Okay we only have three kittens, but we are inferring that two other kittens would also appreciate them) and this is just the prototype including my very first button! Ooh and I am trying some new things here. The goal is to make this site efficient so that I can inrease my post rate. so please continue to pardon my dust. We are much much closer now though! Miss you wonderfuls. xox=vv.